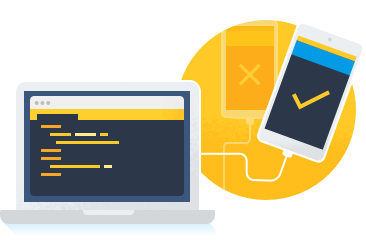 Google announced a range of new updates coming to Firebase, its platform that allow developers to leverage the backend services to build/manage their mobile and web apps, with many of the service’s becoming core features. While the company acquired Fabric from Twitter, along with Crashlytics, the crash-reporting tool; other enhancements coming to Firebase include: improved Cloud Messaging API, Predictions support from Google’s AI, and a revamped console for managing projects across the app cycle. Albeit, the Crashlytics support will be rolling out in the next few weeks into the Firebase console, even as Firebase has become more of a platform over, that developers will be able to build their app crash reports into workflows. And the revamped Firebase console is now a straightforward proposition, especially now that the service includes a far wider range of features. We’ve clustered Firebase products into four main areas, based on the app development lifecycle: Develop, Stability, Analytics, and Grow, All of the products that you’re used to seeing in the Firebase console are still there; we’ve simply reorganized things to more accurately reflect the way your team works. Google will be expanding the Firebase Cloud Messaging service to include sending notifications to its users. It is launching a new API for this service to make it easier to send cross-platform notifications that could, for example, only include basic text for iOS users and an additional click_action for Android users. Also, the new A/B testing framework is launching to make it easier to run variant tests and try different push notification messages. If you're a eveloper and want to get an early peek at what this will look like, you can opt in to get early access here.